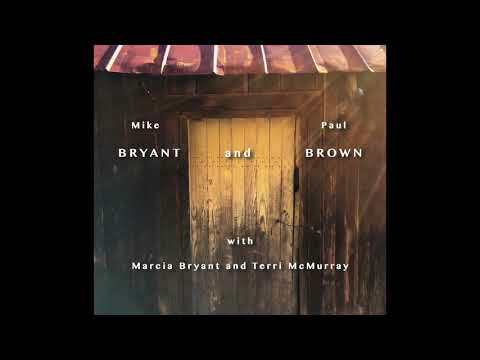 The new, self-titled Mike Bryant and Paul Brown with Marcia Bryant and Terri McMurray is the first release from 40 year Tennessee fiddler Mike Bryant accompanied by banjo virtuoso Paul Brown; fresh from his own CD/DVD Old-Time Tiki Parlour release this past April (see review) Keeping it all in the family, the duo are joined on this record by Mike’s wife Marcia on guitar and Paul’s wife Terri on baritone & banjo ukulele. Mike is often referred to as “a fiddler’s fiddler” and ever the perfectionist, he has resisted attempts to make a record for decades. To quote David Winston in the liner notes: Mike once mentioned that he “worked twelve years on a favorite John Salyer tune before he was satisfied to play it publicly.” In short, this record is a major coup in Old-Time recordings. Every track is a work of art and some of the hottest Old-Time fiddle-banjo duets any of us will ever hear. It’s always “helpful” in writing CD reviews when there are a few stand-out favorites but honestly, the fifteen tunes on this record are nothing short of brilliant from start to finish. From the exuberant opening track Old Aunt Jenny with her Nightcap On to the closing Going Up to Hamburg, every track is an absolute joy to listen to. Mike’s bowing is nonstop controlled syncopated “funk” with Paul’s banjo always right in the groove with him and all augmented by Marcia’s tight guitar work and Terri adding wonderful texture on assorted ukes. You’ll find a few old favorites in Kyle Creed’s Roscoe; Robert Sykes inspired versions of Cumberland Gap and Black Eyed Susan; as well as John Salyer’s Indian Ate the Woodchuck and Fire in the Mountain alongside quite a few rare fiddle tunes from Mike’s extensive 40 year repertoire. Paul Brown also adds some lovely vocals on Buck Eyed Rabbit, Cumberland Gap and Fiddlin’ Arthur Smith’s classic Walking in My Sleep. The fourteen page booklet of liner notes provides extensive details on the tunes, background as well as fiddle and banjo tunings. In addition, the liner notes are peppered with photographs and delightful illustrations and portraits of source fiddlers from the brush of Old-Time fiddler and artist Howard Rains. This marks the twelfth release from David Bragger’s and Rick Hocutt’s Old-Time Tiki Parlour and available now. Pat Mac Swyney is a local musician & teacher who plays Traditional Jazz with The SWING RIOTS Quirktette; Balkan with NEVENKA; Old Time with The SHAKYTOWN RAMBLERS and DEAD ROOSTER.